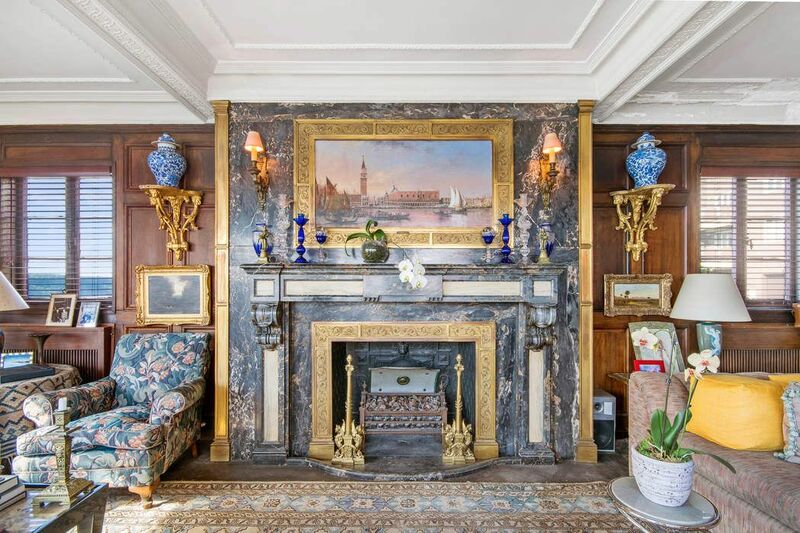 16 Chittenden Avenue, New York, NY 10033 | Sotheby's International Realty, Inc.
Perched high atop the Hudson River lies 16 Chittenden Avenue, the famed cliffside property known to many as ‘The Pumpkin House.’ So named for its’ seemingly jack-o-lantern face that glows across the Hudson reflecting the light of the setting sun, this period piece extends just north of the George Washington Bridge. 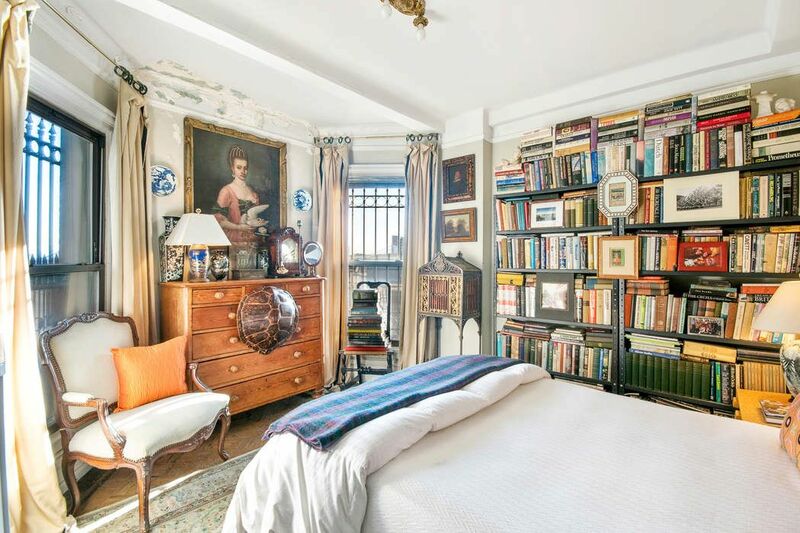 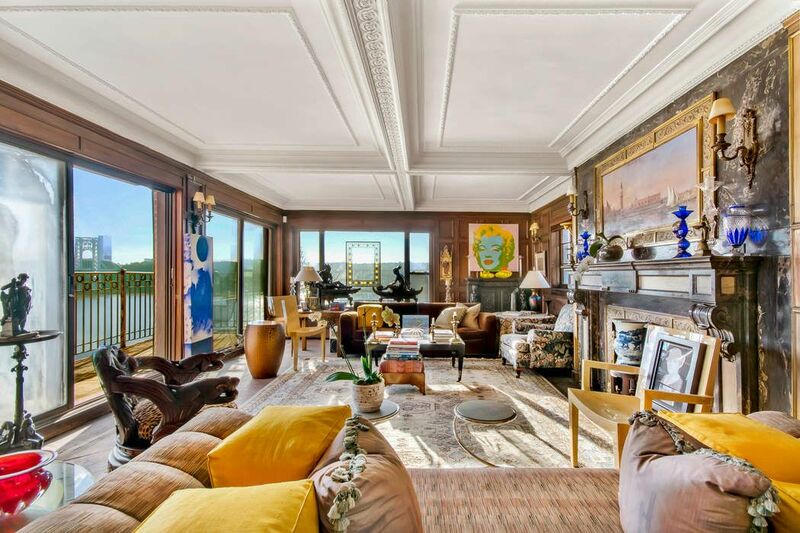 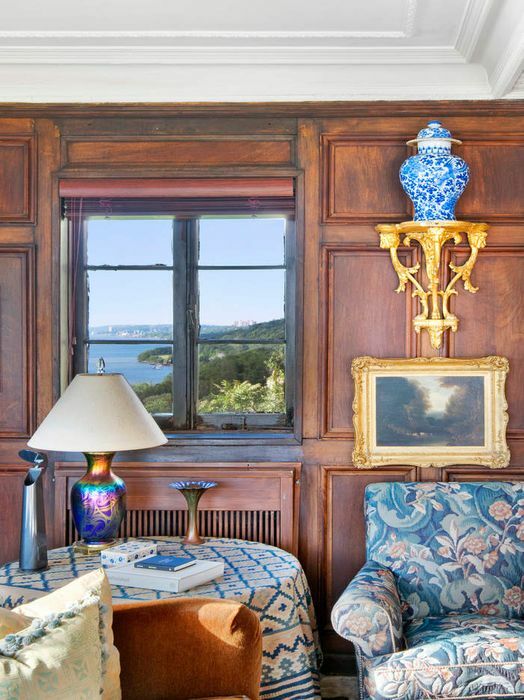 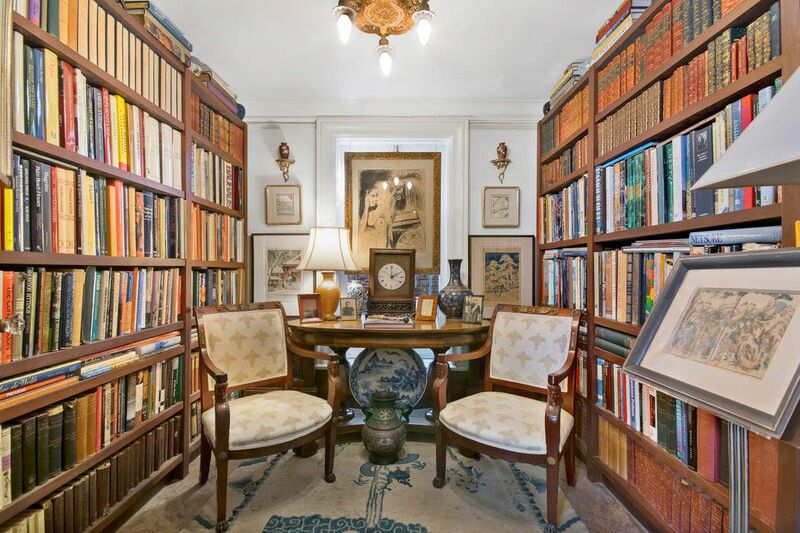 Old world elegance, artistry and design are ever-present in this three-story home featuring magnificent Hudson River views throughout. 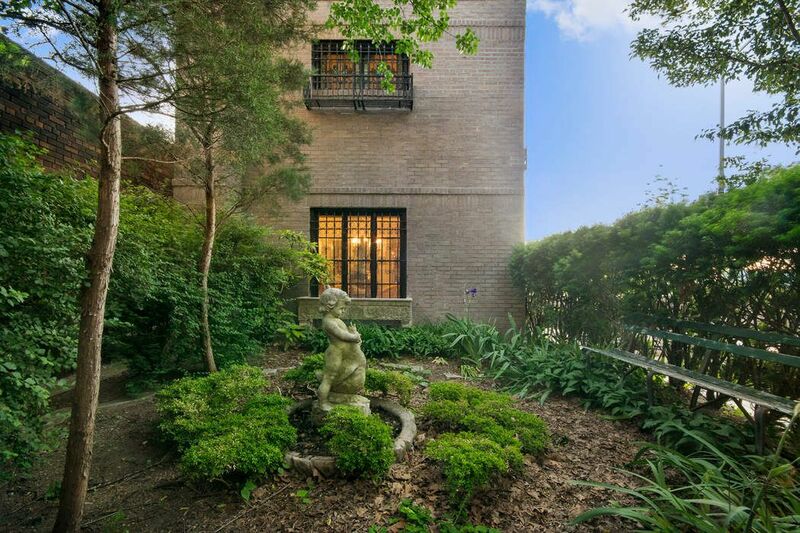 A secret garden and architectural opulence are only some of the many fine features of this historic home. 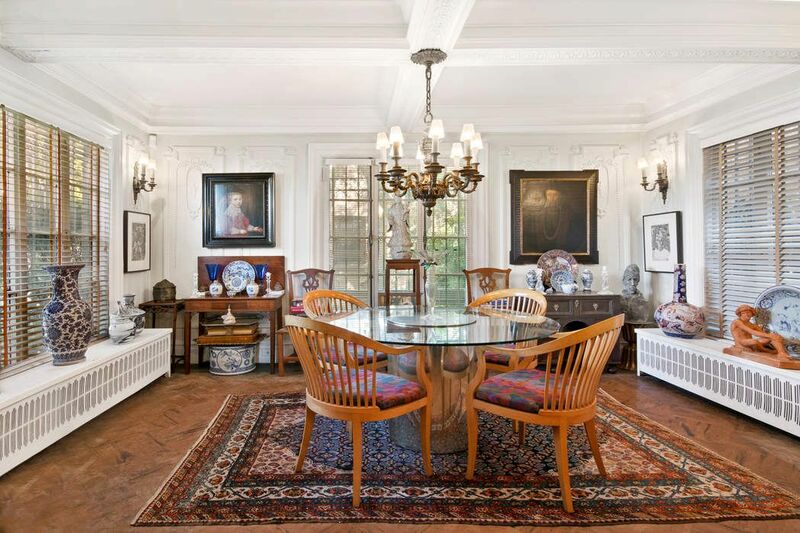 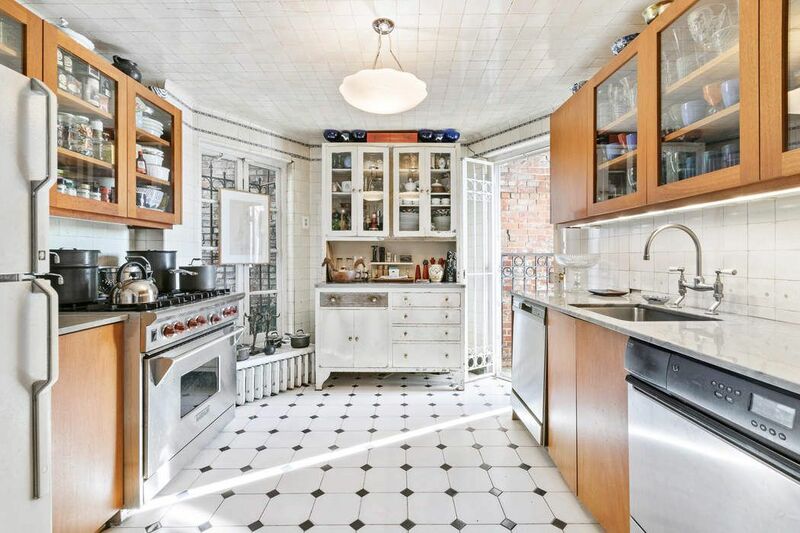 An architectural gem dating back to the 1920’s, this 6-bedroom, 3-bath brick home has a European grandeur of its own. 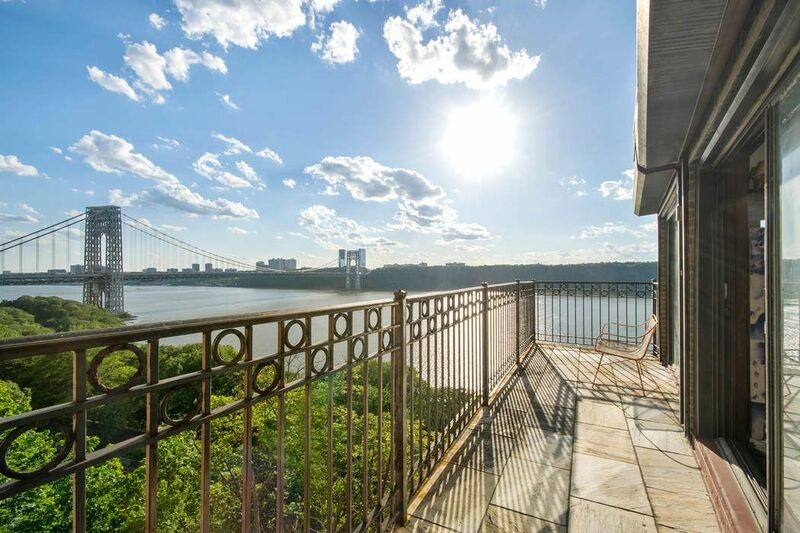 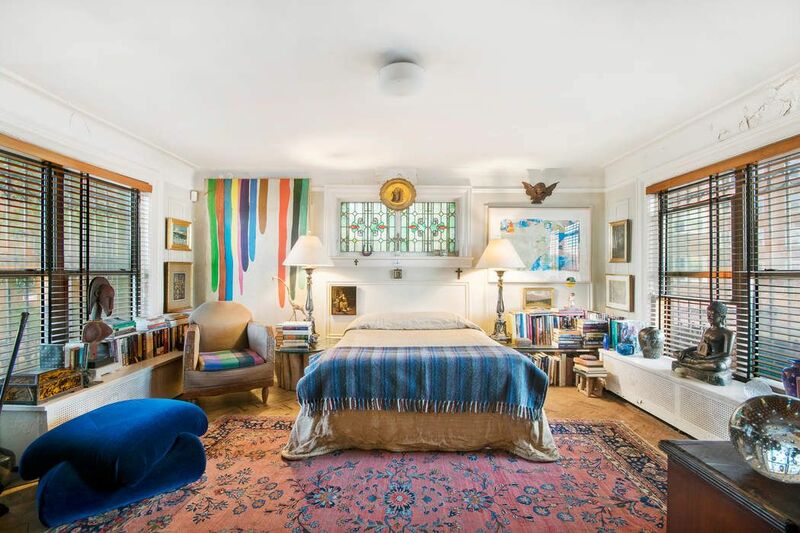 The space also offers a separate one-bedroom apartment with spectacular views of the Hudson and the neighboring Palisades, which can be fully incorporated into the home for additional space. 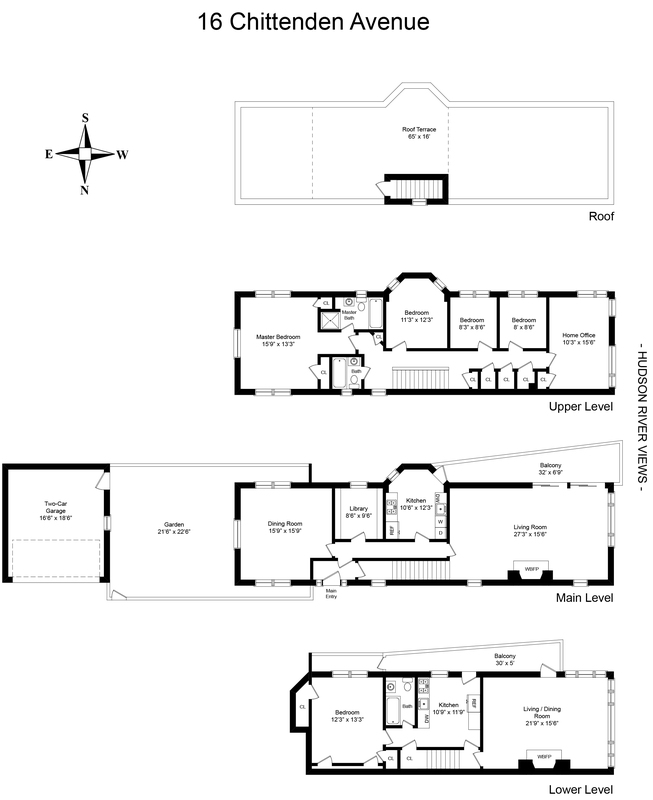 A two-car garage attached to the back of the home through a secluded garden offers private parking. 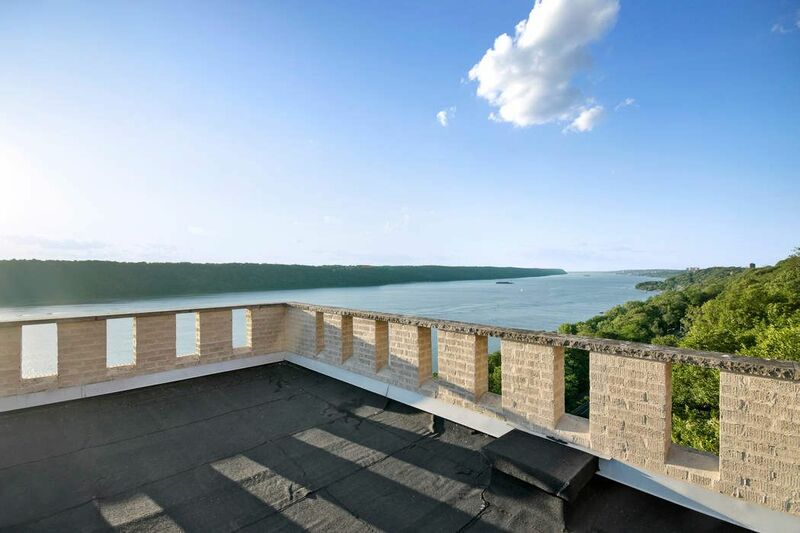 Located in proximity to Bennett Park, Fort Tryon Park, The Cloisters (where the Metropolitan Museum of Art houses and displays its collection of Medieval art), local restaurants and shopping centers, this charming hamlet has a well-established neighborhood association and is the jewel of Hudson Heights. 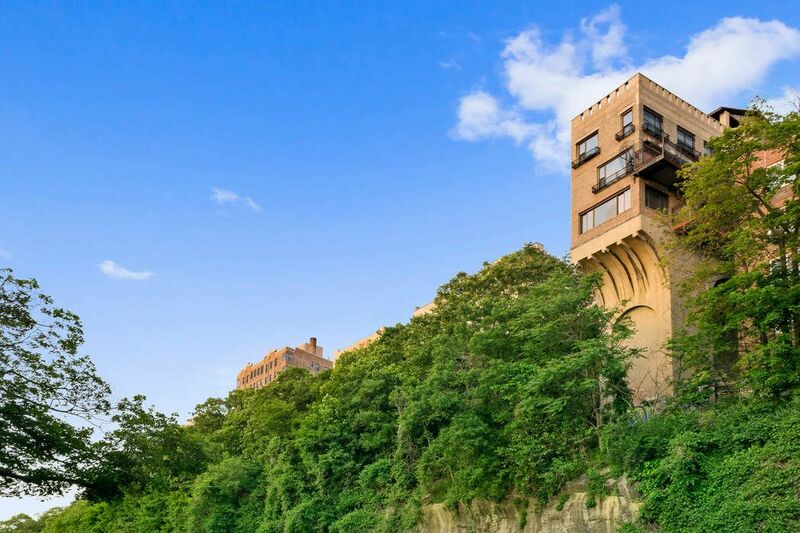 Gothamist, "NYC's Cliffside 'Pumpkin House' Is Back On Market With New Photos, Lower Price"
Haute Living, "NYC’s Bewitching ‘Pumpkin House’ Is Now Asking $1M Less"
Curbed New York, "Prettiest NYC Homes that Hit the Market this Week"
The New York Post, "NYC’s Gorgeous ‘Pumpkin House’ is for Sale"
Curbed New York, "NYC’s Delightful ‘Pumpkin House’ is Back, Wants $4.25M"
6 Sq Ft, "1920s Hudson Heights cliffside ‘Pumpkin House’ chops price to $4.25M"
LLNYC, "Pumpkin House, one of Manhattan’s most unusual homes, is ready to sell"
6 Sq Ft, " 1920s Hudson Heights cliffside ‘Pumpkin House’ chops price to $4.25M"